In part 1 of our series on moderating the TSB, we discussed the various components of a person’s TSB and examined how making pension payments and/or lump sum payments could reduce a member’s TSB, subject to certain provisos. In part 2, we examine paying arm’s length expenses. annual review fees for a corporate trustee. the arm’s length rule in s 109 of the Superannuation Industry (Supervision) Act 1993 (Cth). Additionally, payment of an expense which is less than an arm’s length amount could enliven the non-arm’s length income (‘NALI’) provisions in the Income Tax Assessment Act 1997 (Cth) under the Australian Taxation Office’s (ATO’s) current administrative practice to NALI. Moreover, it should be noted that the proposed rewording of the NALI provisions in the Treasury Laws Amendment (2018 Superannuation Measures No. 1) Bill 2018 will make the application of NALI to an expense which is less than an arm’s length amount much clearer, even where the amount of ordinary income or statutory income derived by the trustee of the SMSF is the same as might be expected in terms of arm’s length dealings. Rico and Joel are brothers and members of an SMSF known as RJ SMSF which is 100% in accumulation phase. They are also the directors of R&J Pty Ltd, which acts solely as the trustee of the RJ SMSF. Rico and Joel are not members of any other superannuation fund. Based on their working papers, the brothers anticipate that just before 1 July 2018, Rico’s TSB will be $1,604,000 and Joel’s TSB is $802,000. However, in the weeks leading up to 30 June 2018, R&J Pty Ltd obtains extensive professional advice for the fund from a reputable financial planner and tax agent. 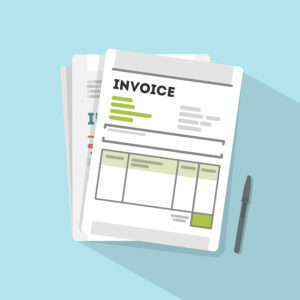 pay the invoice in FY2019 subject to the payment terms. The directors of R&J Pty Ltd ultimately elect to pay the invoice before 30 June 2018. As Rico and Joel are the only two members of the RJ SMSF, the directors of R&J Pty Ltd resolve to charge the cost of the invoice in a ‘fair and reasonable manner’ by apportioning the fee proportionately based on their respective entitlements in the fund. Accordingly, the total amount of the expenses ($12,000) is apportioned as follows: $8,000 is charged against Rico’s benefits and $4,000 is charged against Joel’s benefits. As a result of this course of action, immediately before 1 July 2018 Rico’s TSB is $1,598,000 (it would have been increased to $1,606,000 if not for the $8,000 expense charged against Rico’s benefits). Similarly, immediately before 1 July 2018, Joel’s TSB is $799,000 (it would have increased to $803,000 if not for the $4,000 expense charged against Joel’s benefits). As can be seen from the above, paying arm’s length and appropriate fund expenses can be used as a strategy to reduce an individual’s TSB, subject to the super and tax rules. This strategy can be used in isolation or in various permutations with other strategies. Before implementing any strategies, consideration must be given to determine whether the implementation of a certain strategy to a particular set of background facts might trigger the anti-avoidance provisions. We have not covered any anti-avoidance provisions such as pt IVA of the Income Tax Assessment Act 1936 (Cth) in this article. However, if the ATO considers that a tax benefit arose from a scheme that was tax driven, there is the prospect of the ATO raising a pt IVA assessment. Where in doubt, expert advice should be obtained. In Part 3 of our series, we highlight two other strategies that can be used to reduce an individual’s TSB. The law in relation to TSB is a complex area of law and where in doubt, expert advice should be obtained. Naturally, for advisers, the Australian Financial Services Licence under the Corporations Act 2001 (Cth) and tax advice obligations under the Tax Agent Services Act 2009 (Cth) need to be appropriately managed to ensure advice is legally provided. DBA Lawyers offers a range of consulting services in relation to TSB issues. DBA Lawyers also offers a wide range of document services.